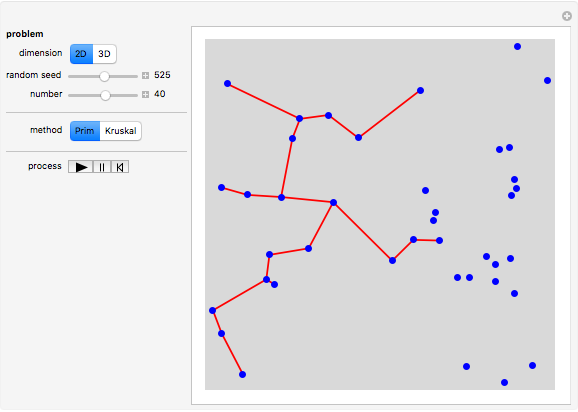 Two greedy algorithms (due to Prim  and Kruskal ) have been proved to find an optimal spanning tree. 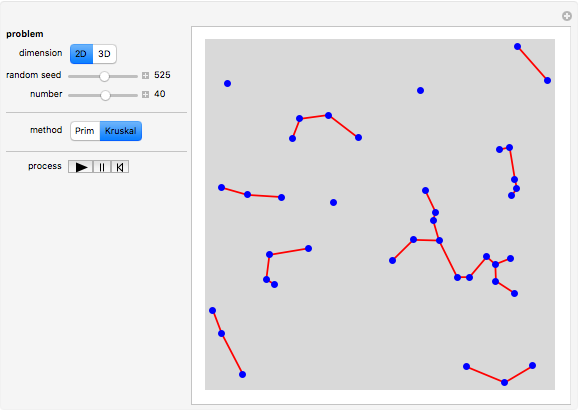 This Demostration lets you visualize the two algorithms in either 2D or 3D. R. C. Prim, "Shortest Connection Networks and Some Generalizations," Bell System Tech. J., 36, 1957 pp. 1389–1401. J. 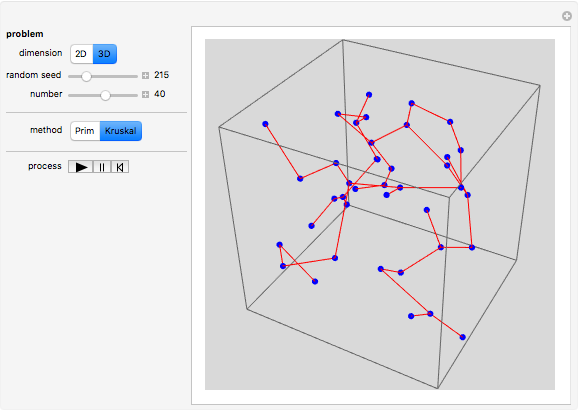 B. Kruskal, "On the Shortest Spanning Subtree of a Graph and the Traveling Salesman Problem," Proc. Amer. Math. Soc., 7, 1956 pp. 48–50. F. Wu, Chapter 6, Manipulate@Mathematica, Beijing: Tsinghua, 2010. Frederick Wu "Greedy Algorithms for a Minimum Spanning Tree"